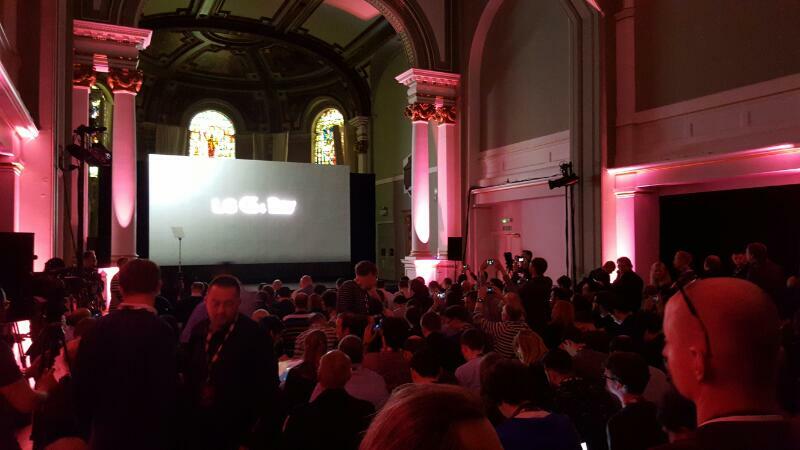 Hello, and welcome to CNET's live coverage of the LG G4 launch. We'll be joined soon by Roger Cheng and Scott Stein, who are both on-site at 1 World Trade Center. hey there! Scott Stein here. Scott, how's the view up there? 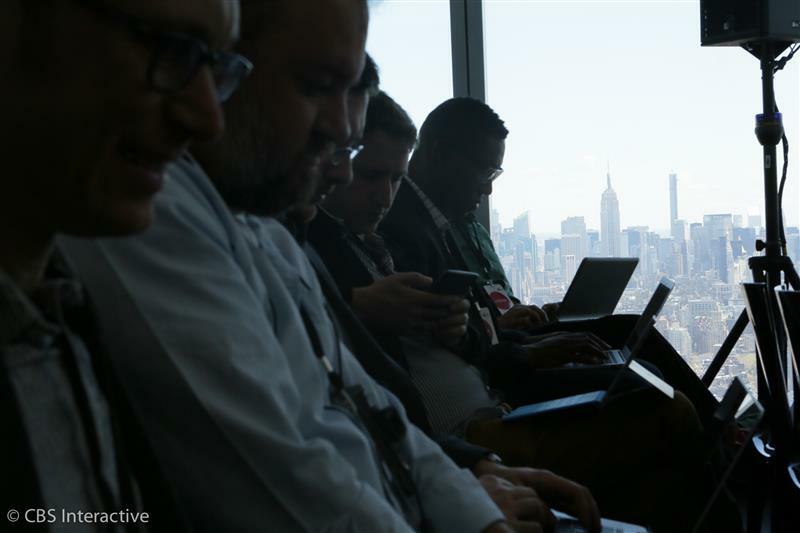 We're on the 64th floor of One World Trade Center, getting ready for the LG G4 event. This is very far up. Hello! Roger Cheng here seated at a press event area a top One World Trade Center (also known as Freedom Tower). The view here is tremendous, by the way. The view is beautiful. I went up to the observation deck of the twin towers as a kid...was my favorite place to go. We're a little less than 15 minutes away from the G4 event, so bear with our tap-dancing for a bit. I think I can see CNET's office from here. I went up to the Twin Towers as a kid, but sadly I can't really remember what it was like up there -- too young. I do remember the wait was terrible. 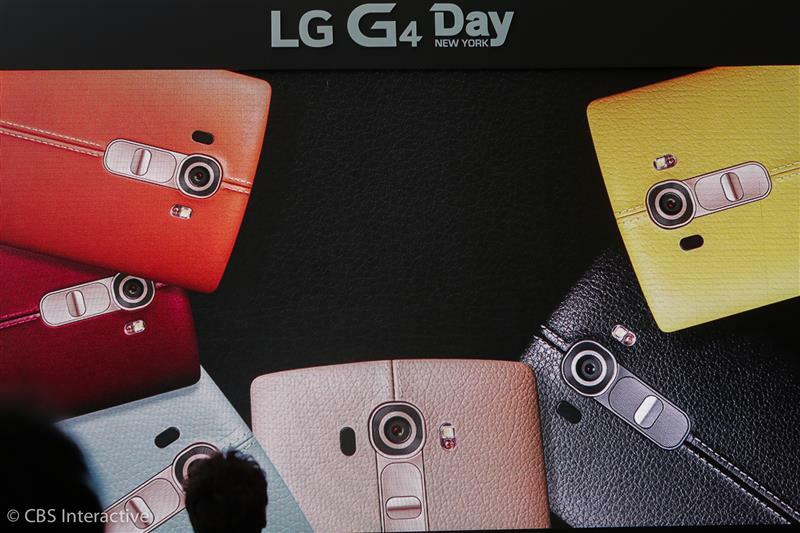 As you know: LG G4. we'll find out more. The question is, what can this new phone do impress you? What do you want to see? 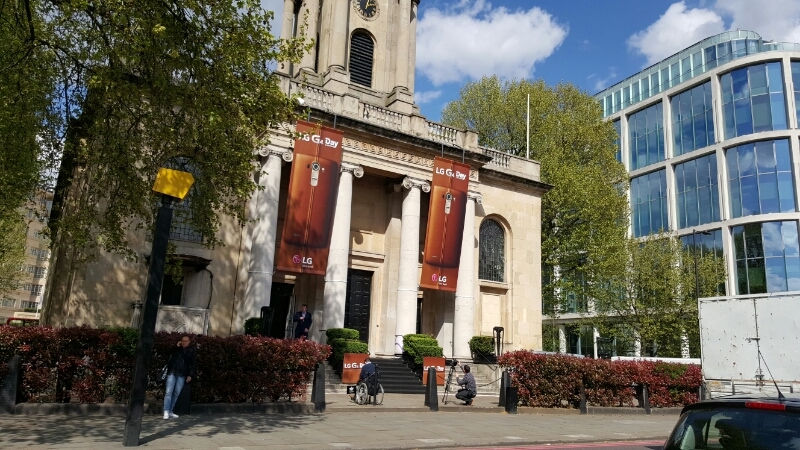 Andrew Hoyle here, at the G4 launch in an unusually sunny London! For that CNET exclusive, I traveled to South Korea two weeks ago. I went mostly for vacation, but I was able to convince the folks at LG to open up their assembly factory for an inside look at how the G4 was made. That's right -- this is a multi-city launch announcement. 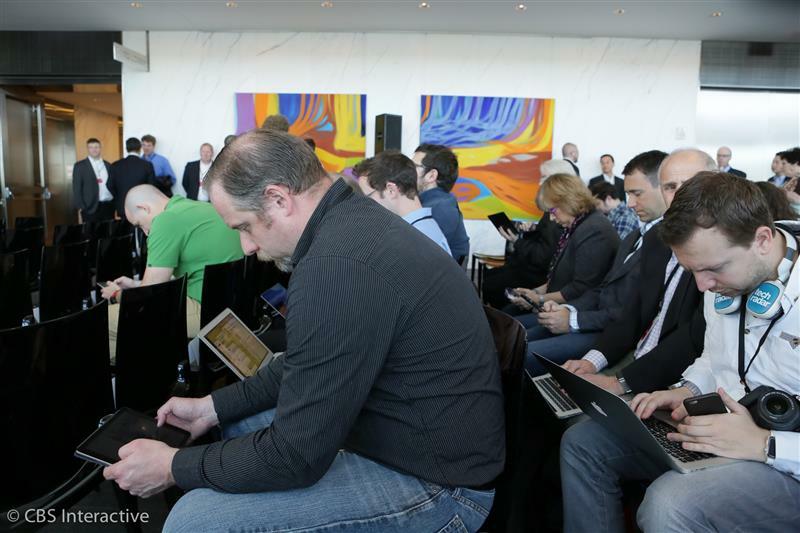 I'll be tweeting later on after the liveblog at @jetscott for more on-site impressions. I think it's safe to say that 2014's LG G3 was something of a hit. The rear-button design was a risk that paid off. Scott Stein, looking bright-eyed and bushy-tailed on this fine morning. Great photo from Sarah Tew, showing the Empire State Building out the window. Oh god, I look awful. The LG G3 was certainly a sleeper hit of 2014. The company packed a large 5.5-inch display into a relatively thin body, which phone enthusiasts loved. No one looks good at morning press events. But I also didn't tuck in my shirt. LG, of course, is still well behind the two big players in the smartphone biz, Apple and Samsung. LG ranked No. 5 in the world among smartphone players, according to Gartner. That's for all of 2014. The G4 is entering a tough market for smartphones, w/ Apple's iPhone 6 and 6 Plus still selling like hotcakes, and Samsung's new Galaxy S6 and S6 Edge getting a very enthusiastic reception. 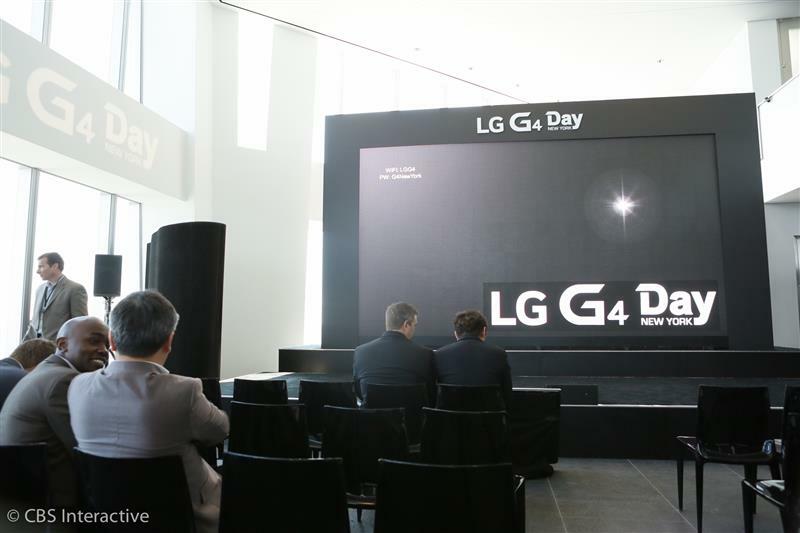 LG is hoping to build upon its momentum with the G4, which pushes its genuine leather backing as a key advantage. The UK launch isn't at the top of a building, but it's pretty grand in here. But is it enough? Samsung has radically redesigned the Samsung Galaxy S6 and S6 Edge. The use of metal and glass has been a hit. @AndrewHoyle: we're not even at the top. This thing goes to 104. Apple continues to be on a tear. It sold 61.2 million iPhones in the last quarter -- numbers that nearly any other company would kill for. The nature of the arc means it has 20 percent more durability than a flat smartphone. 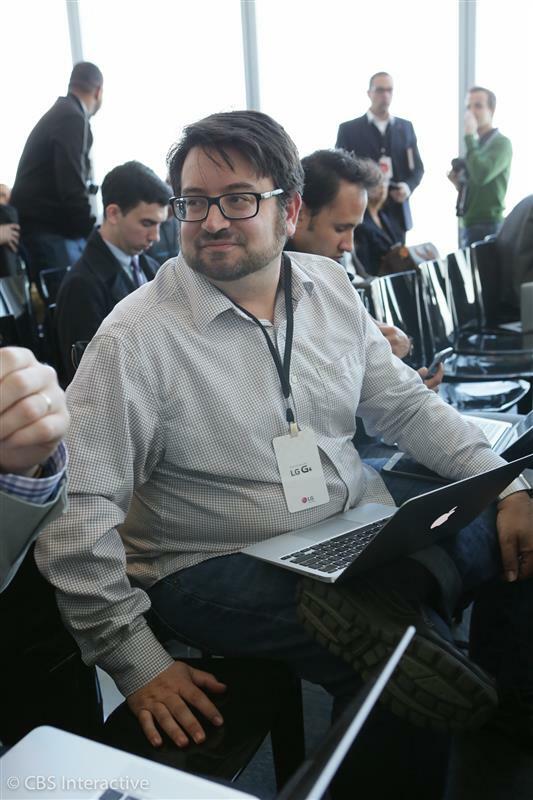 He says consumers would give up some slimness with a decent battery and ability to swap it out. Black pebbled leather G4. I like that look. 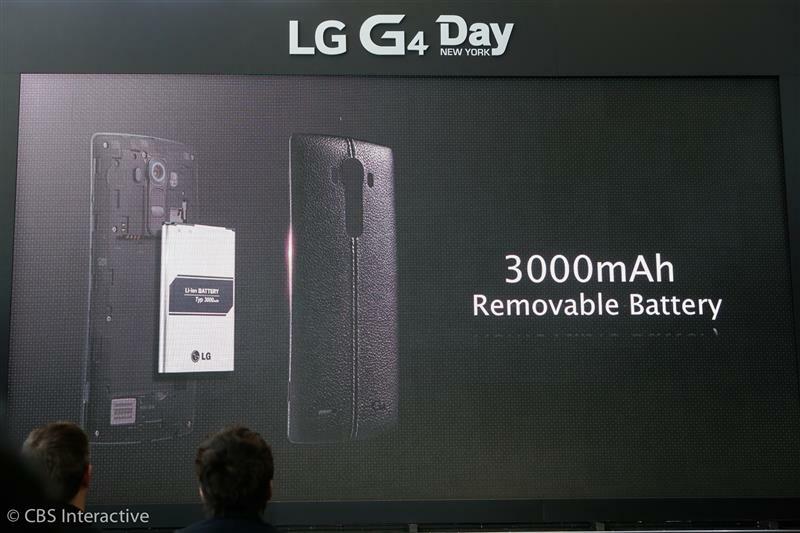 LG G4 has a 3,000 mAh battery that is replaceable. It's the same size as the G3. Manufacturing becomes a challenge when you leave the world of flat phones, he notes. The G4's natural fit has a feeling of beautiful design. It has a sense of grace and beauty, he says. The design element is so important to us. As touchscreens have dominated the front of the phone, the back is where we sought out to stand apart from the competition, Lee says. 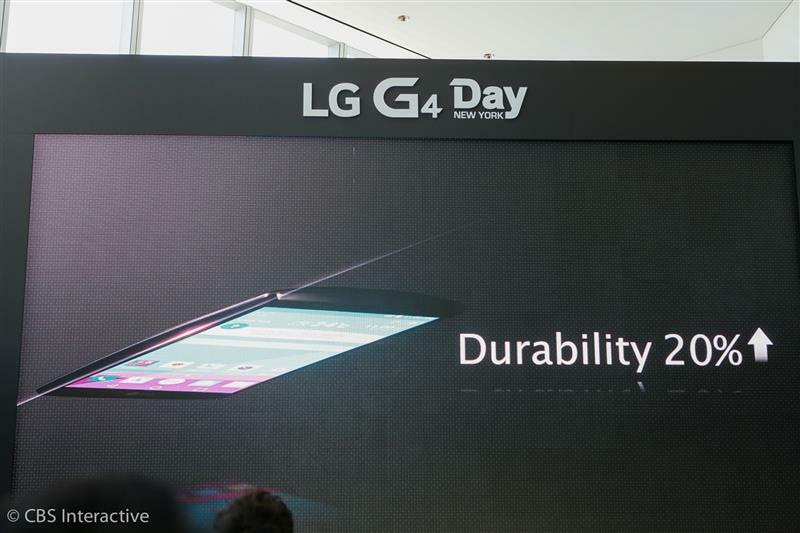 Lee notes that the back of the G4 will come with high-grade, genuine leather. The company worked hard to make sure it retained its leather feel.